Where Is The 24 Hour Notice Law Written? | Your best resource for buying, selling, owning and investing in duplexes and duplex homes. Where Is The 24 Hour Notice Law Written? One of the most frustrating things Realtors run in to when trying to show a duplex listed for sale on the Multiple Listing Service (MLS) is the misconception that tenants are required to receive 24 hours notice prior to a showing. Realtors and our clients are often trying to coordinate times to look at properties, and then to concentrate showings in a geographic area. There may, for example, be three or four properties in a city or neighborhood we have interest in seeing. In the interest of efficiency, we try to schedule them all at the same time. Both agents and their buyers understand we are visiting a tenant’s home. We will do all we can to provide as much notice as we can to them that we would like to see their unit. However, a full day’s notice isn’t always possible. And if all the other duplexes are available to be seen with less notice, odds are very high we won’t circle back to that neighborhood to look at the one that required a day’s notice until we’ve exhausted all of our options elsewhere. Many landlords are afraid of losing their tenants as a result of either them not having ample notice for a showing. However, if that tenant has a valid lease, leaving for that purpose would be a violation of that legally binding document. 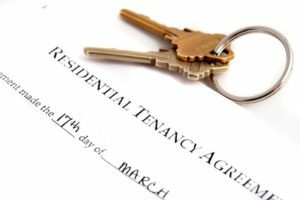 Minnesota landlord/tenant law states a landlord may enter the premises at any time for business purposes provided there has been a reasonable attempt to notify the tenant of the visit. No where in Minnesota state law is that amount of time defined. Successful duplex sellers simply have a conversation with their residents before the property is actively listed on the MLS. They explain the tenant is protected by his or her lease and can’t simply be kicked out because there’s a new owner. They add the residents are not required to leave for showings. And finally, they explain while everyone will do all they can to provide notice, they are not entitled to 24 hours, nor the right to refuse showings. I have seen many sellers lose sales opportunities because they didn’t understand the law; and it cost them thousands of dollars.